Our wedding conventions combine an industry leading bridal trade show, with elegant bridal fashion shows, featuring not only wedding dresses, but also men’s formal wear, mother of the bride and bridesmaid dresses, wedding shoes, floral arrangements and more. Our wedding fairs also include live performances by wedding DJ’s, bands and professional dancers. No matter how long your wedding checklist is you will find multiple options for planning your perfect day at a Jenks Productions Wedding and Bridal Expo. 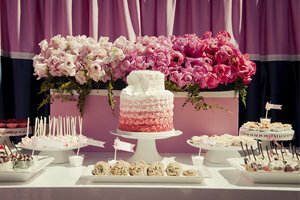 Sample the foods, talk with a wedding planner, experience potential wedding venues, hear the music and have some fun planning your wedding at the best bridal expos of the year! Jenks Productions produces the largest and best wedding showcase in the area. All our wedding expos feature hundreds of bridal experts giving couples-to-be thousands of potential wedding planning ideas. See which Jenks Productions bridal expo is closest to you. Visit the show and find out why Jenks Productions is the leading bridal and wedding event producer in the Industry. 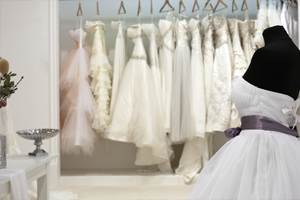 We currently produce bridal expos in Connecticut, Massachusetts, New York and Pennsylvania. Jenks Productions started the Connecticut Wedding & Bridal Expo over thirty-three years ago. 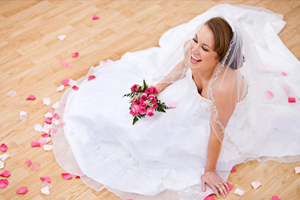 The CT Wedding & Bridal Expo now held at the Connecticut Convention Center is considered by many industry professionals to be one of the largest wedding events in the country. The Connecticut Convention Center offers ample room to showcase several hundred of the best local, regional and national wedding and bridal vendors. The Connecticut Wedding & Bridal Expo is held over two days to provide brides and grooms plenty of time to talk with potential vendors and plan their weddings. If you’re having a hard time getting your fiancé to join you, on January 27, 2018 we are hosting the Connecticut Beerfest, which may be more appealing to the masculine side of your “twosome.” Make it a joint outing, sample hundreds of craft brews and plan your wedding all at the same time. Jenks Productions also organizes the Farmington Wedding & Bridal Expo at the Hartford Farmington Marriott, The KC101 Wedding & Bridal Expo at the Oakdale Theatre in Wallingford, and The Hartford Wedding & Bridal Expo at the XL Center in downtown Hartford. 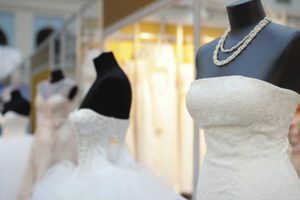 If you are getting married in Connecticut (or the surrounding area) and need one thing or everything for your wedding, any or all of the Jenks CT bridal shows are an absolute must attend. Twenty-seven years ago, Jenks Productions started the Springfield Bridal Expo at the Eastern States Exposition, “Home of The Big E” in Springfield, MA. Since then the Springfield Wedding & Bridal Expo has been the largest bridal event in the state of Massachusetts. Whether it is a wedding dress, wedding invitations or anything in between, the Jenks Springfield Wedding & Bridal Expo is the wedding event that’s got it all! Soon after, Jenks expanded its Massachusetts wedding and bridal show line up to include The Baystate Wedding & Bridal Expo, first in Boston and now located at the Boston Marriott Newton. The Baystate Wedding & Bridal Expo features the area’s best wedding professionals all at a convenient location just outside of Boston. Last but not least is Jenks Worcester Wedding & Bridal Expo held at the DCU Center in downtown Worcester. 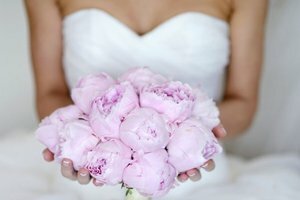 The Worcester Wedding & Bridal Expo is once again the largest wedding event in the Worcester area. If you live in Massachusetts and you’re a getting married, find the closest Jenks MA bridal show expo and let us help you plan your dream wedding! There are bridal fashions, wedding transportation vendors, invitation and stationary vendors, food samples and so much more. Once again, the Westchester Wedding & Bridal Expo is the largest most convenient way to plan your entire wedding in one day! Are you interesting in being a vendor at any of our wedding & bridal expos? Please contact us to learn how. Are you interested in becoming a sponsor for any of our wedding & bridal expos? Please contact us to learn more.